8926 Carillon Estates Way Fort Myers, FL. | MLS# 219008100 | Southwest Florida Residential Real Estate for Sale. This former builders model is a super classy property that gives you a feeling of being "home". 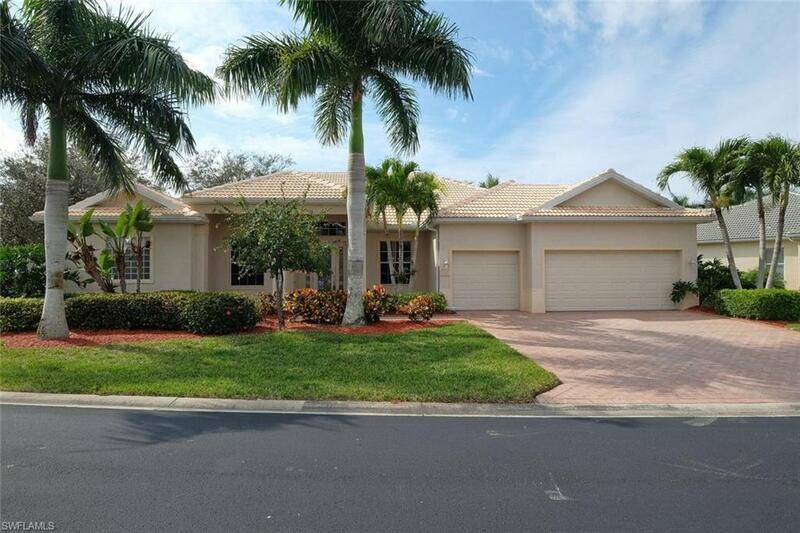 This 3 car garage ESTATE home has bundled GOLF & social membership and features high ceiling with crown molding throughout, plantation shutters, large tiles on diagonal, 42" wood kitchen cabinets, corian tops, breakfast bar & breakfast nook. Kitchen opens to the large great room for a nice open floor plan. Everything is light, bright & neutral and tastefully done. Large owners suite has walk-in closet, very nice bath with dual vanities, separate tub & shower. Lanai has a heated pool and spa, outdoor kitchen area, an Aqualink system for the pool. Spacious 3-car garage gives you that extra space for your golf cart. The Legends community offers you a lot of bang for your buck with a 30, 000 sq.ft. clubhouse offering fine dining, sports pub & the beautiful newly opened Sunset Grill which is poolside. Other amenities include lighted tennis courts, bocce ball, pickle ball, huge lagoon style pool with waterfall and spa, exercise facility numerous classes, 18 hole championship golf course. NO CART FEES AND NO GREEN FEES! Resort Style living to it's finest with a location that's unbeatable.